(New Hampton., N.Y., Mar. 2, 2017) – Hudson Valley DKI, a member company of DKI, North America’s largest disaster restoration contracting organization, announced they hired Doug Heiferman on February 1, 2017 as their director of training to help develop Hudson Valley DKI’s new Training and Learning Center. As an industry approved instructor and educator from the Institute of Inspection Cleaning and Restoration (IICRC), Heiferman has trained and motivated thousands of professionals throughout the United States in the fields of textile cleaning, restoration services and facilities maintenance. He also holds certifications from the Flooring Consultants and Inspection Training Services (FCITS) and OSHA. Heiferman is a master textile cleaner. “Hudson Valley DKI is honored to have Doug Heiferman join our team. 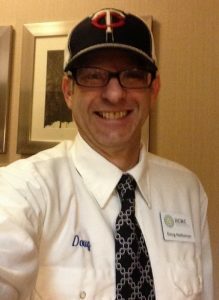 Doug brings a very diversified business background to the team. His 25 years of experience as an educator and industry consultant will add great value to our management team. We can’t be more excited to have Doug join DKI,” said President Angelo Ferrante. Heiferman’s primary responsibility is to establish and promote Hudson Valley DKI’s new educational center through his hands-on, technical training courses. Through his IICRC instructor courses, he ensures that the team is up to date on the latest technology to effectively mitigate and restore property damage after a natural disaster strikes. With over 35 years of experience in disaster restoration, Hudson Valley DKI is a leading restoration contractor in the Hudson Valley area of New York. They provide full service property restoration for commercial and residential clients. When disaster strikes, Hudson Valley DKI”s catastrophe team is ready to respond 24 hours, 7 days a week , 365 days a year. DKI restoring lives one job at a time. For additional information, call 845-294-8919 or visit www.dki-hudsonvalleyrestoration.com.